Mobilk - The Smart Dubai Office (SDO) held an extended meeting with the Roads and Transport Authority (RTA), one of the founding strategic partners in the ongoing process of transforming Dubai into a smart city. The Office’s delegation was headed by H.E. Dr. Aisha bin Butti Bin Bishr, SDO Director General. This session is part of a general plan developed by the Office to introduce its goals and strategies for establishing necessary partnerships with stakeholders inside and outside the state to come up with better results in the areas of smart transformation. H.E. Dr. Aisha Bin Bishr opened the meeting by talking about the goal of showcasing the Office’s road map as presented to the strategic partners and sharing the developments and updates that have made SDO a successful initiative for advancing the smart transformation of the city of Dubai in both the private and public sectors. The delegation was received by H.E. Mattar Al Tayer, TRA Director General and Chairman of the Board of Directors, in the presence of a number of assistant general managers and department directors and heads. The attendees listened to the explanation of the Office’s road map which is swiftly and extensively moving forward in order to achieve the vision of H.H. Sheikh Mohammed bin Rashid Al Maktoum, Vice President and Prime Minister of the UAE and Ruler of Dubai, to transform Dubai into the smartest city in the world by 2017. During her speech about Dubai’s future as the smartest city on the planet, H.E. 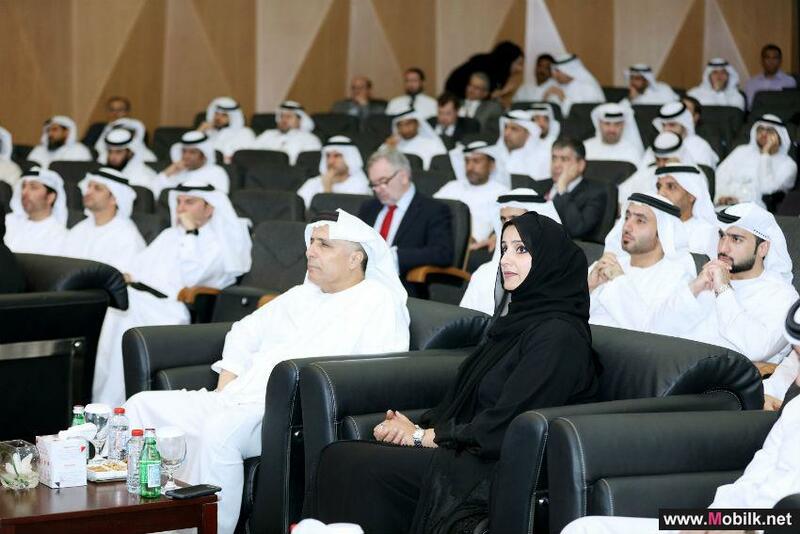 Dr. Bin Bishr explained the effectiveness of the role the RTA in advancing Dubai’s efforts to become a smart city. She said: “Putting our partnership into action is the basis of our success, and our goal is to facilitate and standardize the smart transformation process in all parts of the city. We have come a long way in the process of transforming Dubai into the worlds smartest city, and so today we are here at the RTA to show you the developments at the Smart Dubai Office which is leading the way in terms of cooperating, overcoming obstacles, achieving integration at work and mobilizing creative ideas in one pot. We aim to provide common smart services for the public and private sectors which will reflect positively on the people of Dubai and ensure their happiness. " H.E. Younis Al Nasser, CEO of Dubai Data Establishment, praised the instrumental role of the RTA in the establishment of a smart city, noting how smart mobility has become an active part of the Smart Transformation Initiative. Speaking about SDO’s structure, he expressed his happiness over the progress of Dubai’s smart shift. The Office includes the Smart Dubai Government Establishment, the technology arm of Smart Dubai responsible for facilitating the dissemination and exchange of data between the public and private sectors. H.E. Al Nasser also commended the empowering committees for Dubai Smart City such as the smart infrastructure committee which are being established to provide the capabilities for advancing the transformation. "Our ambition is to transform Dubai into the happiest city in the world at all levels and in all aspects of life by using innovative technology that provides smart services to make individuals happy," he added. H.E. Al Nasser reviewed the basic pillars of the initiative such as efficiency, safety, smoothness, and strong impact. He presented a summary of open data and common data being the most comprehensive and ambitious in the world, because everyone will benefit from it – from decision-makers to employers and Dubai residents and visitors. Dubai Data handles policy adoption and supervision, data classification as well as determining reference records, and compliance follow-up on data providers with the applicable policies and implementation. As an implementation of this initiative, H.E. Wesam Al Abbas Lootah, CEO of the Smart Dubai Government Establishment, reviewed some facts and statistics related to Dubai’s smart transformation. He revealed that more than 41,000 support requests were processed in 2015, and that the Establishment’s customer satisfaction rate and happiness index were at 81 per cent and 83 per cent, respectively, for the same year. In his speech on government resource planning systems, H.E. said that more than 50 government entities share this system through which they pay the salaries of more than 79,000 employees. He also explained that Dubai is currently applying the comprehensive platform of unified services, and that 22 entities are using it to offer more than 50 smart services and process to over 4 million transactions. He presented the Establishment’s strategy that relies on four pillars, namely: interlinked services, empowering services, common services, and infrastructure. H.E. further explained the platform of Dubai Smart Government, the new digital backbone supporting Dubai’s transformation into a smart city, and shared the latest updates that will allow the relevant bodies to establish, update and develop their smart services themselves on the platform, in line with individual needs to make his personal portrait himself, and his way the platform will be open to all individuals and entities. He added that the platform is designed to benefit everyone and aims to unify smart city services, massive data, cloud computing, and its own Internet of Things, as well as enable strategic partners to ensure that the private sector will benefit from the open and common data of the city. H.E. Bin Bishr concluded the inter-sessional presentation by proposing some important areas for joint cooperation between the office and RTA. The two parties emphasized the need for cooperation and consolidation of efforts in all fields to achieve the vision of the wise leadership. This involves holding constructive meetings between working teams which will contribute to the development and innovative solutions for which the Office seeks to present at all the dimensions of Dubai Smart initiative which needs joint effort to provide common smart services that offer happiness to the people of Dubai. The Dubai Smart Office was established in late 2015 pursuant to Law No. (29) for the year 2015. It aims to provide strategic initiatives and develop partnerships for contributing to Dubais smart economy, smart governance, smart environment, and dimensions of smart life, smart individuals, and smart mobility – all aimed at making Dubai the smartest and happiest city in the world.